The first thing that you will need to do, for the purpose of cleaning your bike chain, is degrease it so that it is free from gunk and grease. There are a number of methods that you can make use of this purpose. The most obvious one is to use a lot of elbow grease and scrub off all the gunk from the bike chain using a brush and a bucket of soapy water. You can damage your bike by trying to scrub off the grease and dirt, so this method has it disadvantages too. This is where the WD-40 bike chain cleaner comes into the picture. When you consider how the WD-40 Bike Degreaser, has got everything that you might need to cater to the degreasing needs of your bike. 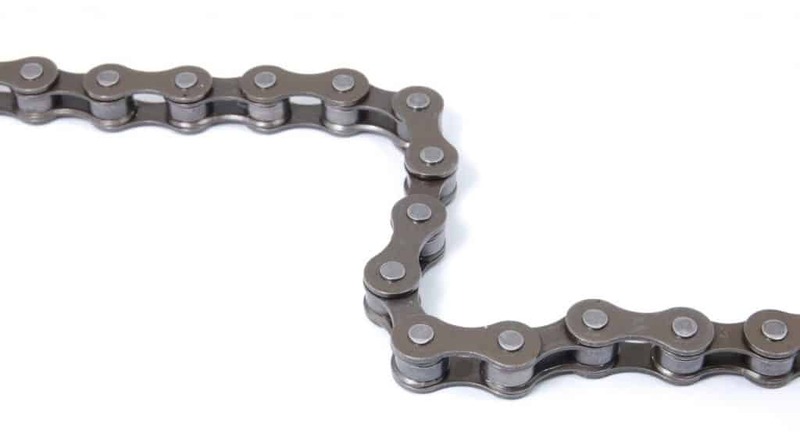 You realise that this chain cleaner will not only make the job of bike chain cleaning considerably easier but quicker and simpler as well. All you need to do is rinse the bike chain to remove any mud and thick dirt. 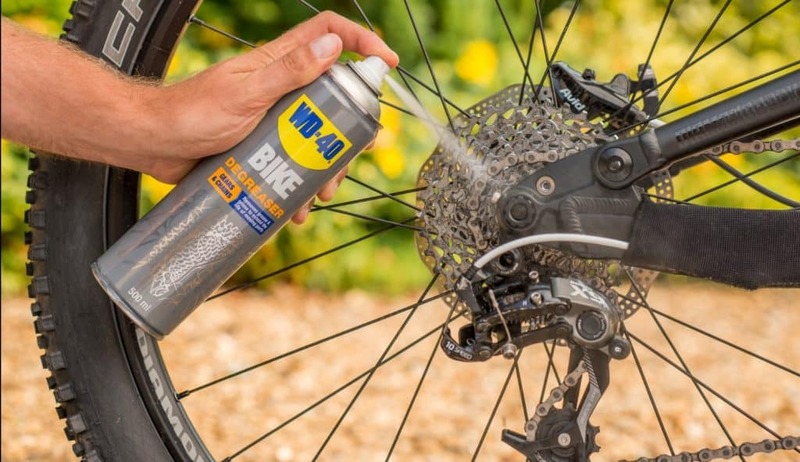 Spray the WD-40 Bike Degreaser onto the surface of your bike chain and give it adequate time to work. On top of that, the WD-40 Bike Degreaser can be used for the cleaning and degreasing of other moving parts as well. Once you have given the WD-40 Bike Degreaser adequate time to conjure up its magic, it is time for you to grab a brush. Now it’s time to scrub the dirt, grease and grime off your bike chain. The WD-40 degreaser will ensure that the job is done in short space of time. The product will loosen the grime so that the gunk comes off easily. On top of that, the usage of WD-40 Bike Degreaser before the scrubbing job will do wonders for ensuring that your bike chain is not damaged in the process. Considering how the WD-40 Bike degreaser loosens the accumulated dirt and gunk so that it comes off easily and reduces the need for rigorous scrubbing. Rigorous scrubbing can, on some occasions, damages your bike chain. After your bike chain has been scrubbed clean, it is advisable for you to wash it off with a sponge and a bucket of clean water. Why is it important to rinse the bike chain? Well, there is a possibility that your scrubbing job might not have been as good as it needed to be. There is a chance that some of the dirt and grease might still be present on your bike chain. Washing the bike chain with water will help remove any remaining dirt. On top of that, the washing of bike chain is also necessary, so that the degreaser is completely removed before the lubricant is applied. Wash the bike chain and then leave it under the sun to dry off. This will ensure that your bike chain is in the perfect condition and ready for the lubricant to be applied. Once your bike chain is all cleaned up, you will need to lubricate it as well. There are a number of products that can be used for this purpose, including grease, lubricants and bike oil. 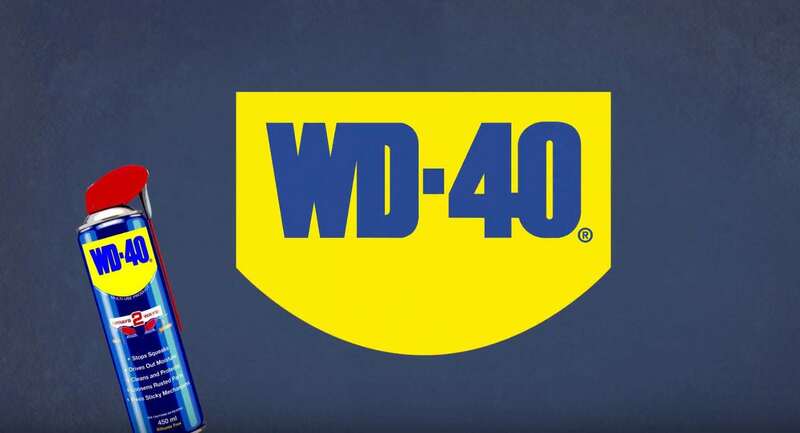 Regardless of what the lubricating needs of your bike chain might be, you can be certain that you will find the lubricant of choice with WD-40. From WD-40 Dry Lube to WD-40 Wet Lube to WD-40 All Conditions Lube. 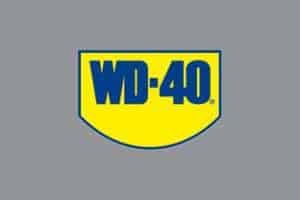 WD-40 has got all of its bases covered, as far as the lubrication of your bike chain is concerned. When you take it all into perspective, you have got to say that all of the products in the WD-40 Bike range have not only made the job of cleaning your bike chain easier but quicker and simpler as well. Click here to see for yourself just how the degreaser works.